Is the ‘Invasion’ of Real Life Architects and Architecture a Sad Chapter in the History of Second Life? The group is still growing, albeit passively, and there is an asynchronous SVA meeting currently underway over on Prokofy’s blog Second Thoughts. He beats up on me quite a bit, but the post and the comment thread are well worth a read. 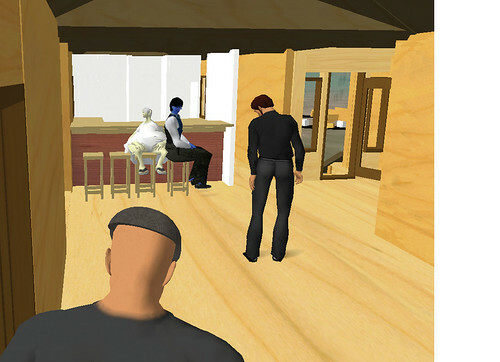 Is the ‘invasion’ of real life architects and architecture a sad chapter in the history of Second Life? Is it going to get better, or worse? Is it OK to experiment with abstract architecture? 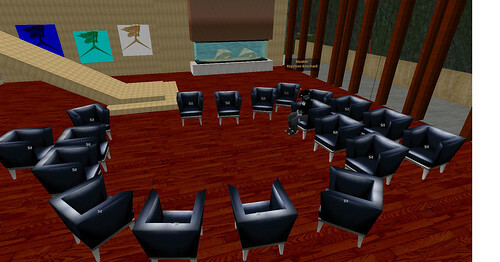 Is there room for wiki-style collaboration in SL? What do we have to say about DB Bailey’s effort to ‘rethink the use of space’ in SL (article HERE). 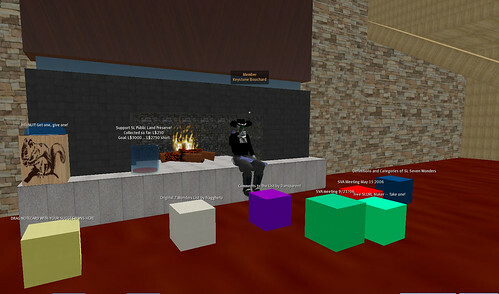 yeah, that’s Keystone in the foreground on my first day in SL, inside my first build. LOL!